With wedding season in full effect, we have another wedding to attend this Saturday. The wedding is located in Malibu, which is 67 miles away, and about an hour and a half drive. At first, we thought about just driving there and then back. Then we thought that driving 3 hours round trip was just too inconvenient. Perfect excuse for a one night hotel stay. 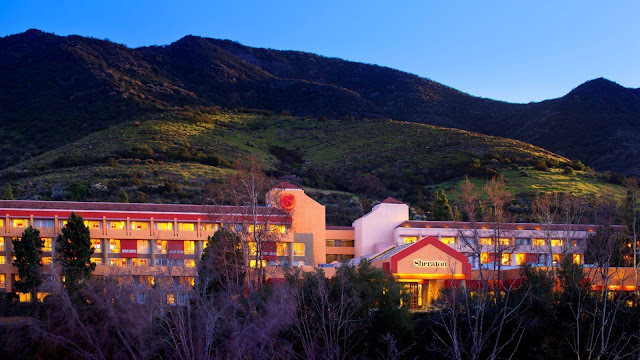 While there are several hotels around the area of the wedding venue, I was glad to find out that we could book our hotel stay for free at the Sheraton Agoura Hills Hotel thanks to Starpoints. 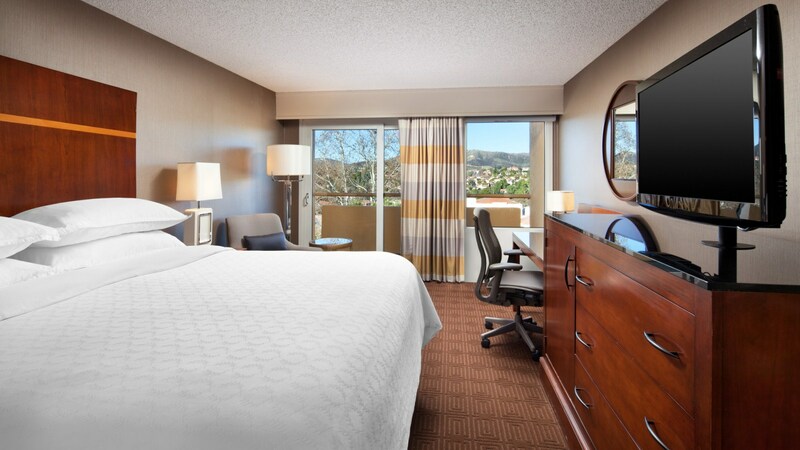 This hotel has free Internet access, free parking, fitness center, and is located close to beaches, shops, and museums. This hotel is also very conveniently located close to the wedding. First thing I did was go to SPG.com to book the hotel stay. I was happy to see that a one-night stay only costs 7,000 Starpoints. We saved $126 by booking our stay with Starpoints. This gives us a Starpoint value of 1 point = 1.8 cents. 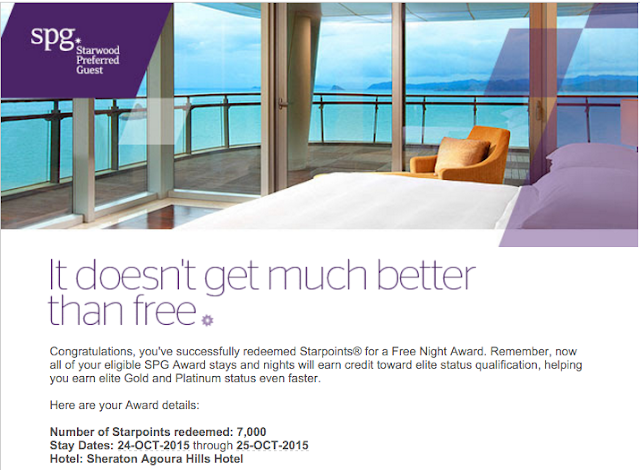 By booking with Starpoints, there are no extra fees. 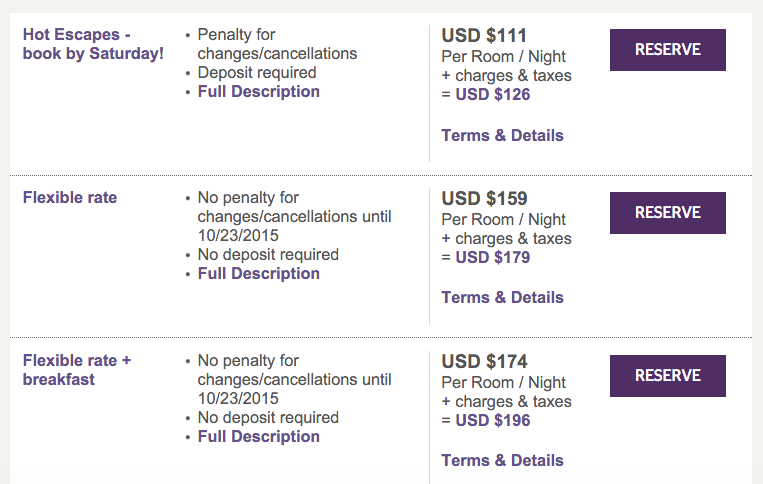 Using points instead of cash for hotel stays helps us save money for other travel related expenses. It doesn’t get much better than free.